Docebo is today one of the most agile and promising Cloud E-Learning provider - not only from the product point of view but also from the Marketing perspective: in partnership with Grafo Ventures, Docebo is building an International Cloud, SaaS, E-Learning and Business event in Milan, the global hub of fashion, design, art and advertising industries. Docebo will welcome international guests in Milan, the main industrial, commercial and financial centre and a leading global city that will host the Universal EXPO 2015. Cloud and Software as a Service are among the hottest trend of the year, but the DConf 2013 (June, 27th & 28th) is not “just another cloud event” as it is focused around a participative approach able to bring added-value to all the attendees, due to an intensive knowledge sharing made possible by some of the greatest speaker in the market. The conference comes from an idea of Docebo - an Italy-based Cloud E-Learning provider who is massively expanding its customer base all around the world, also thanks to a Partner Network in more than 26 countries. Together with its Partner Grafo Ventures, Docebo wants to leverage the Milan international venue (Palazzo delle Stelline) to set-up an international tech-event also related to Learning technologies. 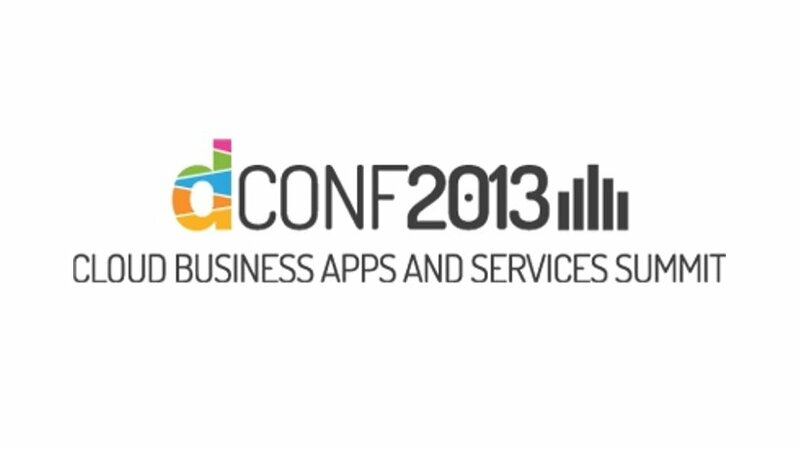 Due to its wide international approach, the DConf 2013 is endorsed by GetApp, the first worldwide portal for Cloud Business Apps, as well as eLearning Industry, which comes as the official Online Media Sponsor. Fabrizio Cardinali (eLearning Startups Entrepreneur). These International guest speakers will share their experiences, success stories, business insights and case studies (see the complete DConf 2013 Agenda). But DConf 2013 will also be the biggest Italian event from the Ventures perspective, as it will involve lots of Venture Capitals like Notion Capital, Partech International and Eden Ventures. The DConf 2013 is a Free Event, but there are a few places available: interested people can request their seat by registering on the DConf 2013 website. eLearning Industry is proud Online Media Sponsor of the DConf 2013 "Cloud Business Apps and Services Summit" in Milan (Italy) on June 27-28, 2013.